You don't have to travel to Louisville to let you and your guests experience the Kentucky Derby. 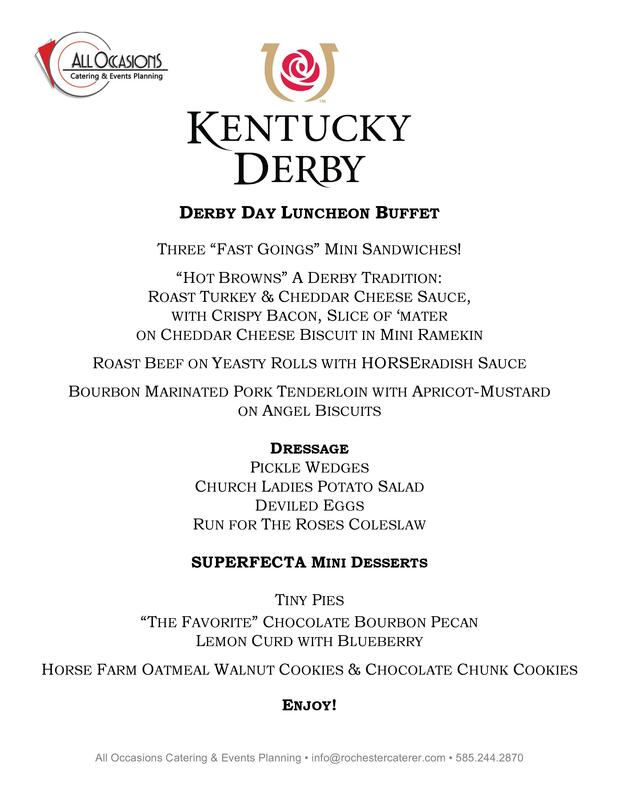 Our chef has put together the perfect Kentucky Derby Lunch spread! This Luncheon Buffet is perfect for 35 or more guests.